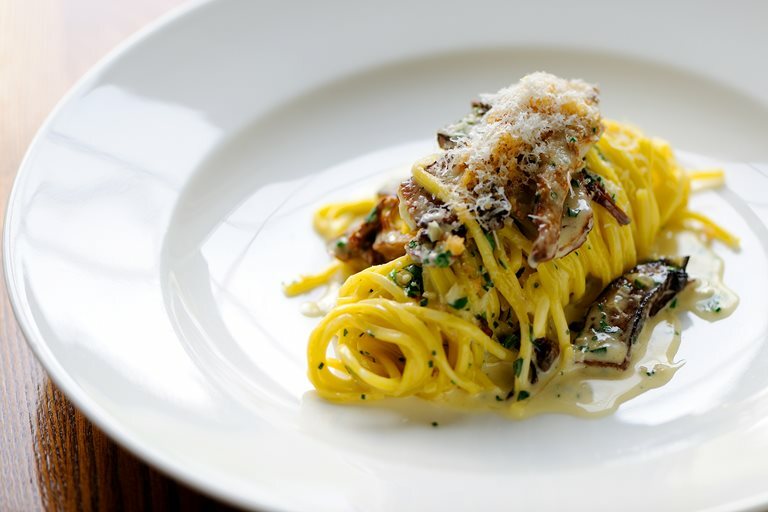 This linguine recipe from Dominic Chapman is a celebration of mushrooms that need no more than a scattering of Parmesan and a glass of red wine. This is an excellent mid-week recipe as the pasta can be bought fresh to cut down on prep time. To make this mushroom linguine vegetarian, swap out the chicken stock for vegetable stock, and any extra mushroom sauce can be used for chicken, fish or other pasta recipes within three days after storing in the fridge.